Showing results for tags 'reseller host'. Setup your own web hosting business without the hassles of huge investments and management of the infrastructure MilesWeb offers excellent value-for-money reseller hosting in India, UK, US, and Romania with benefits like Free WHMCS / ClientExec, White Label Reselling, Free Migration and Custom Branding. As a reseller, you can create packages of your choice to resell at prices determined by you, also maintaining your profitability. Sign up and get instant access to your cPanel/WHM control panel! Why Choose MilesWeb Reseller Hosting? Free WHMCS / ClientExec Free Domain Reseller A/C Free Indian Payment Gateway Free SSL 100% White Labeled Free Malware Scan & Removal Free Website Migration Below is the list of Linux Reseller Hosting plans offered by MilesWeb: Smart Plan: Host Unlimited Domains 100GB SSD Space Unlimited Bandwidth WHM/cPanel/Softaculous Unlimited SQL DB's Unlimited Email accounts Discounted Price : $4.50/mo | Buy Now Plus Plan: Host Unlimited Domains 500GB SSD Space Unlimited Bandwidth WHM/cPanel/Softaculous Unlimited SQL DB's Unlimited Email accounts Discounted Price : $8.35/mo | Buy Now Pro Plan: Host Unlimited Domains 1000GB SSD Space Unlimited Bandwidth WHM/cPanel/Softaculous Unlimited SQL DB's Unlimited Email accounts Discounted Price : $12.15/mo | Buy Now For more details on Reseller Hosting plans visit : https://www.milesweb.in/hosting/reseller-hosting/cheap-reseller-hosting Pluto Plan: Host 25 Domains Free WHMCS / Clientexec Unlimited SSD Space Unlimited Bandwidth WHM/cPanel/Softaculous Unlimited SQL DB's Unlimited Email accounts Discounted Price: $9.60/mo [20% OFF] : Discount Code :: LEAD | Buy Now Mars Plan: Host 100 Domains Free WHMCS / Clientexec Unlimited SSD Space Unlimited Bandwidth WHM/cPanel/Softaculous Unlimited SQL DB's Unlimited Email accounts Discounted Price: $14.70/mo [30% OFF] : Discount Code :: DRIVE | Buy Now Jupiter Plan: Host 200 Domains Free WHMCS / Clientexec Unlimited SSD Space Unlimited Bandwidth WHM/cPanel/Softaculous Unlimited SQL DB's Unlimited Email accounts Discounted Price: $14.50/mo [50% OFF] : Discount Code :: IMPEL | Buy Now Reseller Hosting Server Location: India USA UK Romania For more details on Reseller Hosting plans visit : https://www.milesweb.in/hosting/reseller-hosting Below is the list of Reseller Hosting add-ons offered by MilesWeb: Dedicated IP : Monthly $2 Per IP Address CDN : Monthly $10 Per Website Backup and Restore : Monthly $1.55 WHMCS Starter License : $9 Per Month We also offer Windows reseller hosting plans for details refer: https://www.milesweb.in/hosting/reseller-hosting/windows-reseller-hosting For Immediate Assistance, Contact Us : [email protected] or visit our website to initiate live chat. Setup your own web hosting business without the hassles of huge investments and management of the infrastructure MilesWeb offers excellent value-for-money reseller hosting in India, UK, US, and Romania with benefits like Free WHMCS / ClientExec, White Label Reselling, Free Migration and Custom Branding. As a reseller, you can create packages of your choice to resell at prices determined by you, also maintaining your profitability. Sign up and get instant access to your cPanel/WHM control panel! 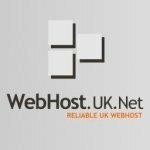 Why Choose MilesWeb Reseller Hosting? Free WHMCS / ClientExec Free Domain Reseller A/C Free Indian Payment Gateway 100% White Labeled Free Malware Scan & Removal Free Website Migration Free SSL Below is the list of Linux Reseller Hosting plans offered by MilesWeb: Smart Plan: Host Unlimited Domains 100GB SSD Space Unlimited Bandwidth WHM/cPanel/Softaculous Unlimited SQL DB's Unlimited Email accounts Discounted Price : $4.50/mo | Buy Now Plus Plan: Host Unlimited Domains 500GB SSD Space Unlimited Bandwidth WHM/cPanel/Softaculous Unlimited SQL DB's Unlimited Email accounts Discounted Price : $8.35/mo | Buy Now Pro Plan: Host Unlimited Domains 1000GB SSD Space Unlimited Bandwidth WHM/cPanel/Softaculous Unlimited SQL DB's Unlimited Email accounts Discounted Price : $12.15/mo | Buy Now For more details on Reseller Hosting plans visit : https://www.milesweb.com/reseller.php Pluto Plan: Host 25 Domains Free WHMCS / Clientexec Unlimited SSD Space Unlimited Bandwidth WHM/cPanel/Softaculous Unlimited SQL DB's Unlimited Email accounts Discounted Price: $8.4/mo [30% OFF] : Discount Code :: PNEW | Buy Now Mars Plan: Host 100 Domains Free WHMCS / Clientexec Unlimited SSD Space Unlimited Bandwidth WHM/cPanel/Softaculous Unlimited SQL DB's Unlimited Email accounts Discounted Price: $12.60/mo [40% OFF] : Discount Code :: MNEW | Buy Now Jupiter Plan: Host 200 Domains Free WHMCS / Clientexec Unlimited SSD Space Unlimited Bandwidth WHM/cPanel/Softaculous Unlimited SQL DB's Unlimited Email accounts Discounted Price: $14.50/mo [50% OFF] : Discount Code :: JNEW | Buy Now Reseller Hosting Server Location: India USA UK Romania For more details on Reseller Hosting plans visit : https://www.milesweb.com/hosting/reseller-hosting Below is the list of Reseller Hosting add-ons offered by MilesWeb: Dedicated IP : Monthly $2 Per IP Address CDN : Monthly $10 Per Website Backup and Restore : Monthly $1.55 WHMCS Starter License : $10 Per Month We also offer Windows reseller hosting plans for details refer https://www.milesweb.com/hosting/win...seller-hosting For Immediate Assistance, Contact Us : [email protected] or visit our website to initiate live chat. Temok is providing affordable and prime quality services of web hosting since 2014. We offer a number of hosting services, starting from the reasonable personal hosting package to high quality services of budget and Business web hosting. Linux reseller hosting with Temok is easy to use and helps you build a good lasting connection with your clients. We offer unbranded reseller hosting at affordable price. You will get complete control over your customer’s hosting accounts and how you allocate resources to them through intuitive WHM/cPanel control panel. We provide unlimited databases, unlimited mailboxes, 100% free domain name, 24/7 expert support, security against hackers/possible invaders and far more. Promo Code: RESELLER30S We are offering wide range of USA Linux Reseller Hosting Plans at very reasonable price with 30% Discount. Below you will find some details of them along with the links which you can use to order your desired Linux Reseller Hosting Plan. Mentioned Prices are Without Discount. ⟄⟄ Linux Reseller Hosting Starter Plan US ⟃⟃ ∘ RAID Protected Storage: 50GB ∘ Bandwidth: 500GB ∘ phpMyAdmin: Yes ∘ Unlimited cPanel Accounts ∘ Unlimited Addon Domains ∘ Unlimited Subdomains ∘ Unlimited Email Accounts ∘ Unlimited MySQL5 Databases ∘ Unlimited Web Disk Access ∘ No Setup Fee ∘ Price: $19.99/Month ⊁⊁ Order Starter Plan ⊀⊀ ⟄⟄ Linux Reseller Hosting Premium Plan US ⟃⟃ ∘ RAID Protected Storage: 80GB ∘ Bandwidth: 700GB ∘ phpMyAdmin: Yes ∘ Unlimited cPanel Accounts ∘ Unlimited Addon Domains ∘ Unlimited Subdomains ∘ Unlimited Email Accounts ∘ Unlimited MySQL5 Databases ∘ Unlimited Web Disk Access ∘ No Setup Fee ∘ Price: $27.99/Month ⊁⊁ Order Premium Plan ⊀⊀ ⟄⟄ Linux Reseller Hosting Business Plan US ⟃⟃ ∘ RAID Protected Storage: 120GB ∘ Bandwidth: 1000GB ∘ phpMyAdmin: Yes ∘ Unlimited cPanel Accounts ∘ Unlimited Addon Domains ∘ Unlimited Subdomains ∘ Unlimited Email Accounts ∘ Unlimited MySQL5 Databases ∘ Unlimited Web Disk Access ∘ No Setup Fee ∘ Price: $36/Month ⊁⊁ Order Business Plan ⊀⊀ ⟄⟄ Linux Reseller Hosting First-Class Plan US ⟃⟃ ∘ RAID Protected Storage: 160GB ∘ Bandwidth: 1200GB ∘ phpMyAdmin: Yes ∘ Unlimited cPanel Accounts ∘ Unlimited Addon Domains ∘ Unlimited Subdomains ∘ Unlimited Email Accounts ∘ Unlimited MySQL5 Databases ∘ Unlimited Web Disk Access ∘ No Setup Fee ∘ Price: $44/Month ⊁⊁ Order First Class Plan ⊀⊀ ⟄⟄ Linux Reseller Hosting Super-Class Plan US ⟃⟃ ∘ RAID Protected Storage: 200GB ∘ Bandwidth: 1400GB ∘ phpMyAdmin: Yes ∘ Unlimited cPanel Accounts ∘ Unlimited Addon Domains ∘ Unlimited Subdomains ∘ Unlimited Email Accounts ∘ Unlimited MySQL5 Databases ∘ Unlimited Web Disk Access ∘ No Setup Fee ∘ Price: $71.19/Month ⊁⊁ Order Super Class Plan ⊀⊀ Our cPanel servers are setup on powerful servers with superior connectivity to ensure that each server delivers optimum performance and offers the flexibility to run large websites. Our servers are fully managed with security monitoring and 24/7 Technical Support which helps customers concentrate more on the growth of their business. We offer free migration services. ➛ We accept VISA, MasterCard, American Express, PayPal, WorldPay and Diners Club International for payment. If you have any questions & queries please let us know sales[at]temok.com or follow us on Twitter for latest Promos & Discounts. Setup your own web hosting business without the hassles of huge investments and management of the infrastructure MilesWeb offers excellent value-for-money reseller hosting in India, UK, US, and Romania with benefits like Free WHMCS / ClientExec, White Label Reselling, Free Migration and Custom Branding. As a reseller, you can create packages of your choice to resell at prices determined by you, also maintaining your profitability. Sign up and get instant access to your cPanel/WHM control panel! Why Choose MilesWeb Reseller Hosting? Free WHMCS / ClientExec Free Domain Reseller A/C Free Indian Payment Gateway 100% White Labeled Free Daily Backups Free Website Migration Free SSL Below is the list of Linux Reseller Hosting plans offered by MilesWeb: Smart Plan: Host Unlimited Domains 100GB SSD Space Unlimited Bandwidth WHM/cPanel/Softaculous Unlimited SQL DB's Unlimited Email accounts Discounted Price : $4.50/mo | Buy Now Plus Plan: Host Unlimited Domains 500GB SSD Space Unlimited Bandwidth WHM/cPanel/Softaculous Unlimited SQL DB's Unlimited Email accounts Discounted Price : $8.35/mo | Buy Now Pro Plan: Host Unlimited Domains 1000GB SSD Space Unlimited Bandwidth WHM/cPanel/Softaculous Unlimited SQL DB's Unlimited Email accounts Discounted Price : $12.15/mo | Buy Now Pluto Plan: Host 25 Domains Free WHMCS / Clientexec Unlimited SSD Space Unlimited Bandwidth WHM/cPanel/Softaculous Unlimited SQL DB's Unlimited Email accounts Monthly Discounted Price $9 USD [25% OFF] : Discount Code :: PBOSS | Buy Now Mars Plan: Host 100 Domains Free WHMCS / Clientexec Unlimited SSD Space Unlimited Bandwidth WHM/cPanel/Softaculous Unlimited SQL DB's Unlimited Email accounts Monthly Discounted Price $13.65 USD [35% OFF] : Discount Code :: MBOSS | Buy Now Jupiter Plan: Host 200 Domains Free WHMCS / Clientexec Unlimited SSD Space Unlimited Bandwidth WHM/cPanel/Softaculous Unlimited SQL DB's Unlimited Email accounts Monthly Discounted Price $15.95 USD [45% OFF] : Discount Code :: JBOSS | Buy Now Reseller Hosting Server Location: India USA UK Romania For more details on Cheap Reseller Hosting plans visit : https://www.milesweb.com/reseller.php For more details on Reseller Hosting plans visit : https://www.milesweb.com/hosting/reseller-hosting Below is the list of Reseller Hosting add-ons offered by MilesWeb: Dedicated IP: Monthly $2 USD Per IP Address CDN: Monthly $10 USD Per Website Last 7 days backup of your website, email, and database): Monthly $3 USD WHMCS Starter License : $8.50 Per Month We also offer Windows reseller hosting plans for details refer https://www.milesweb.com/hosting/win...seller-hosting For Immediate Assistance, Contact Us : [email protected] or visit our website to initiate live chat.